The area is developing rapidly with many upscale communities aimed at retiring baby boomers and people looking for vacation homes. Most of these new planned communities are heavily oriented towards golf. There are many surrounding towns that compete with Hilton Head for the active adult lifestyle which are also worth checking out - some of those include Bluffton, Savannah, and Beaufort. Active adults can either live in in apartments, condos, or single family homes. The median home value was $409,800, in mid-2018, according to Zillow.com. The area just off the island (toward Bluffton) is also growing rapidly and sometimes offers better deals for less money. See link above right for Hilton Head Active Communities. 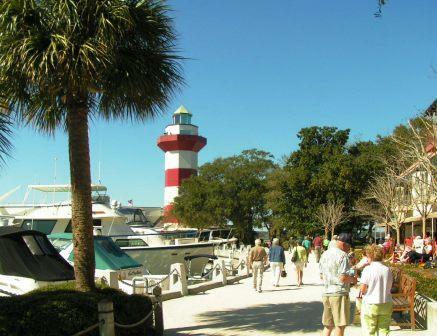 It is a resort area to many especially from June thru September where island swells to 300K vacationers Hot, humid summers with Intense development everywhere off the island towards Bluffton..
Hilton Head is located at the bottom of South Carolina's coastline. The area has many harbors, wetlands and rivers. Winters are temperate and summers hot and humid, although more bearable than inland. 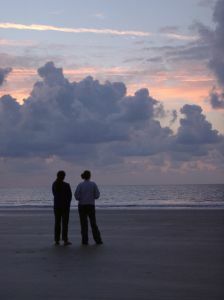 Hilton Head Island offers many cultural opportunities for a community its size, including plays at the Arts Center of Coastal Carolina, the 120 member full chorus of the Hilton Head Choral Society, and the highly-rated Hilton Head Symphony Orchestra, among others. The Beaufort County Arts Council is very active. The island has many art galleries. Shopping is very good. Savannah is 26 miles away and tends to be the cultural center. Hilton Head Hospital top rated Hospital and there are 2 other hospitals in the area.. If you have suggestions on how Topretirements.com could improve these reviews, contact us. Suggest a community that you think is a great place for this lifestyle. Tell us Your Story about this lifestyle or city. Add a Video about it.